Candeo has published a variety of enduring materials for continuing education and continuing medical education since 2008. These are available here. Working with Paul Karpecki, OD, FAAO and John Lahr, OD, FAAO, in a collaboration called Eyecare Educators, Candeo produced these two continuing education activities for optometrists. This 8-hour CE course presented a model for ocular surface disease management in an optometric practice. 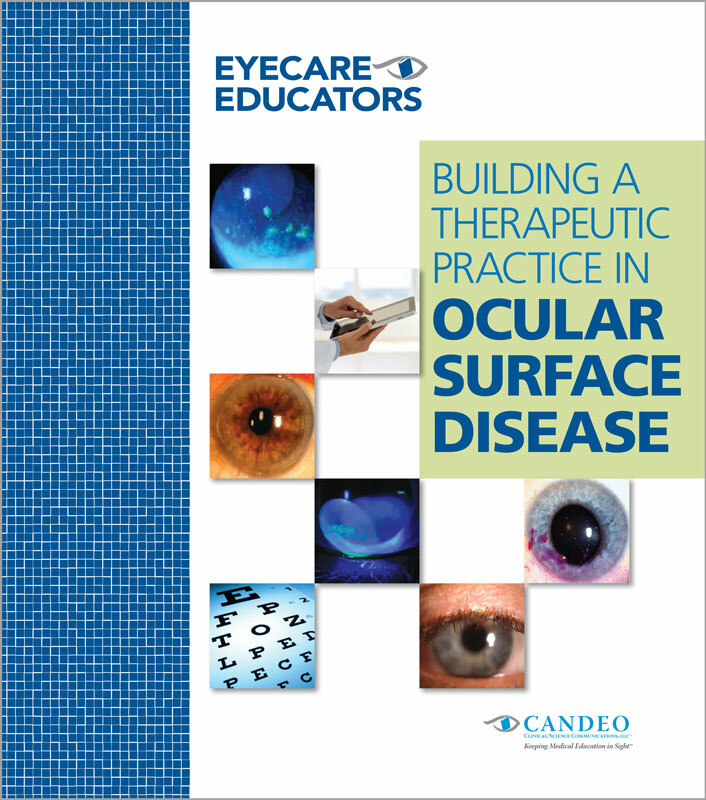 Covering all areas needed to support ocular surface disease management, the course offered both a thorough clinical review (screening, diagnosis, and management) and a blueprint for using ocular surface disease to build a therapeutic optometry practice. This 8-hour CE course described the elements of diabetes management in an optometric practice. Covering all areas needed to implement screening and management of the ocular consequences of diabetes, the course offered both a thorough clinical review (screening, diagnosis, and management) and a comprehensive blueprint for managing the ocular sequelae of diabetes in an optometric practice.